A very simple LDB experience display. 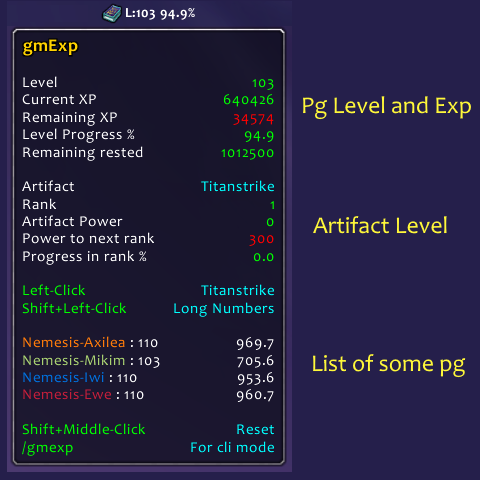 It shows in a broker display compatible the actual experience level and tracks Legion and BFA artifacts if equipped. L["Max content level"] = ""
L["Level Progress %"] = ""
L["Power to next rank"] = ""
L["Progress in rank %"] = ""